Contact us by phone (888) 936-2782 or email (inquiries@AquaNew.com) if you have any questions or wish to obtain information on shipping full pallet or partial pallet (pallet shipping). Our normal office hours are Monday-Friday, from 9 a.m. – 5 p.m. (EST). If we are unavailable to answer your call, our voicemail will pick up after the 5th ring. In order to better serve you, please leave your name, phone number and email address for general inquiries. 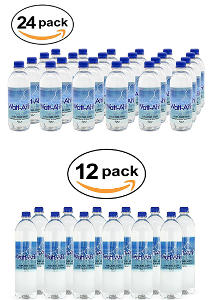 If you are re-ordering Watt-Ahh®, please also specify the number of cases or packs of either ½–liter (16.9 oz.) or 1–liter (33.8 oz.) bottles you wish to purchase. We will confirm your order either by phone or email. To find a store or distributor near you that carries Watt-Ahh®, visit our Stores page. Visit our blog for the most up-to-date news about Watt-Ahh® or subscribe to our free e–newsletter. Copyright © 2007-2019 An AquaNew Water. All rights reserved.